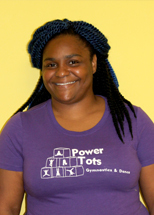 Ms. Kyanna is a Managing Instructor and Head of Curriculum for Power Tots. She is a true Washingtonian who loves being from the nation’s capital. She has over ten years of experience working with children as a teacher, nanny and coach. She has spent most of her life cheering in some form, whether on the mat or behind the scenes, which has helped her understand the sport of gymnastics. Ms. Kyanna has been a volunteer competitive cheerleading coach with DC Parks and Recreation for 7+ years, motivating and encouraging young women to be confident while building positive relationships through core skill and team building exercises. Mr. Mike completed his Bachelors Degree in Sociology at Stony Brook University. He has served as a summer camp group leader in his hometown of Setauket, New York for over a decade, providing hundreds of children with a positive role model and hands-on experience in music, art, and drama. Mike has been involved in a vocal music performance since 2007. 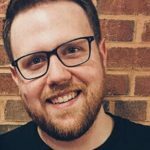 He currently sings for two DC-based contemporary a cappella bands and is very excited to put his musical talents to use as an instructor for Tunes 4 Tots! 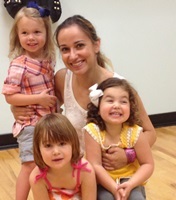 Ms. Iana has always had a passion for working with babies and children. She has a Masters Degree in Education and has taught several different ages. When she had her first daughter in 2015, she used baby signs and saw the tremendous value in helping her communicate at a young age. She is really excited to work with other families who are interested in using baby sign language too! Dr. Heather Diamond is a licensed clinical psychologist with a private practice in downtown Washington, DC. She earned her doctorate degree in clinical psychology from The George Washington University and has several years of experience working in community mental health, college counseling centers and court settings. She completed her residency at The Catholic University of America counseling center, providing psychotherapy to the undergraduate and graduate student population. As a mom of three young children herself, Dr. Diamond has a special interest in adjustment to parenthood concerns and in developing a sense of community for young families. 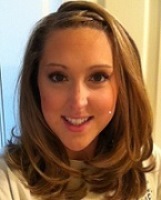 Ms. Lindsay has worked in early childhood education throughout her career. In addition to degrees in developmental psychology and education policy, Lindsay is a certified pre-kindergarten classroom observer, providing feedback on dozens of DC pre-k, toddler, and infant programs. 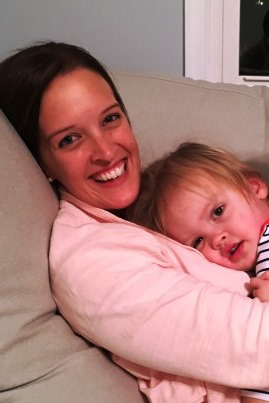 Outside of her work at the EDCJCC and helping her own 2-year-old son get ready for preschool, Lindsay conducts classroom evaluations and presents seminars for parents on navigating the DC pre-kindergarten lottery. Mister Dave is a stay-at-home dad, musician, puppeteer and artist. He has been performing “Songs, Stories and Puppets” at Bloombars in Columbia Heights since 2012 and is the mastermind behind the Mount Pleasant Children’s Puppet Hour. He completed “Music Together” training with the Center for Music and Young Children in 2013. 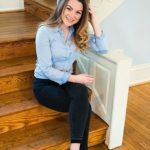 Hope completed her Bachelors Degree in Music Education at Millersville University, then taught choir and general music in the school setting from 2011 to 2014. Hope holds two teaching certifications and has performed in a variety of ensembles and solo recitals throughout her lifetime. She has extensive training and experience working with children of all ages and abilities. Hope’s passion for music and love for children led her to found Tunes 4 Tots in 2014. Hope remains the primary music instructor and point of contact. Jay Gruber has been an American Heart Association instructor for over 20 years. He has taught hundreds of classes and has been the CPR instructor for the EDCJCC Preschool and Summer Camp for the past several years. 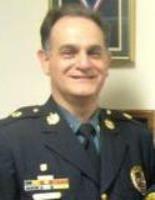 He has served the Montgomery County community for over 25 years as a volunteer EMT-B. He is also the Chief of Police at Georgetown University. Ms. Michelle has been educating and entertaining young children since 2002. 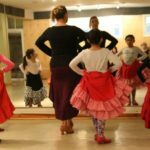 She spent 8 years as Director of Operations for musiKids Inc. in Bethesda, MD. She is the music specialist for a number of area preschools and also leads musical programs for toddler and preschool birthday parties. Michelle performs all over the DC area and is very proud to be a part of the musiKids cd “Gilly Good Morning” which was nominated for a 2012 Wammie for Best Childrens Recording. Mr. Ari has been working with young children since he was in high school, and loves to combine his early childhood educational background with his fifteen years of guitar experience to provide the musical enrichment he truly believes is essential to a well-rounded education (not to mention having a rocking great time). 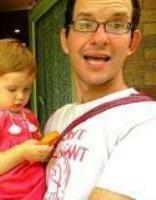 After a varied career as a camp songleader, substitute teacher, toddler music provider, hebrew school musician, and private guitar instructor in both NYC and Massachusetts, he is now the EDCJCC Preschool music specialist as well as teaching various classes and lessons all over the DC area. 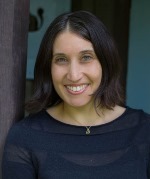 Miriam Szubin is the Director of the Parenting Center and the Director of Preschool Admissions at the Edlavitch DCJCC. She has an M.A in Education and decades of experience as an educator of all ages. 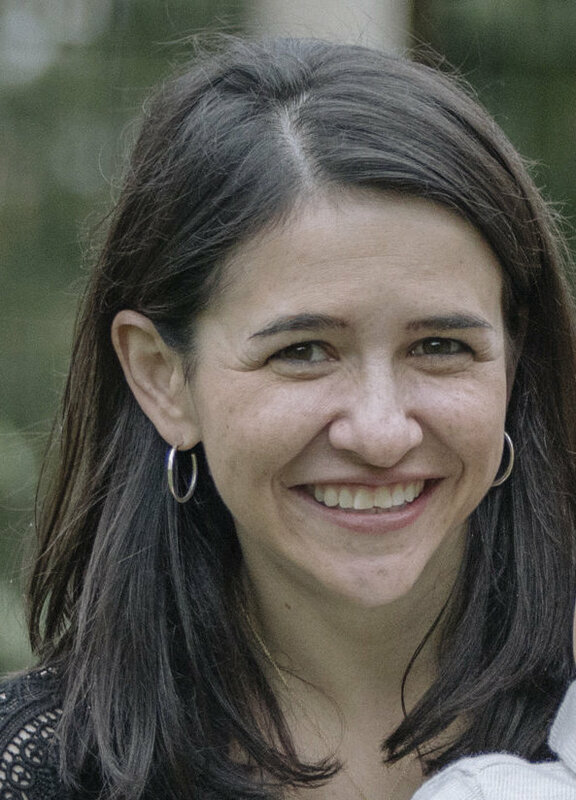 Formerly a teacher at the Charles E. Smith Jewish Day School in Rockville, she has taught tots and adults at the EDCJCC since having her first child back in 2007, and has been running the Parenting Center since 2010. Her three boys have grown up at the EDCJCC and have loved participating in the Parenting Center, Preschool, Afterschool, and Camp programs. 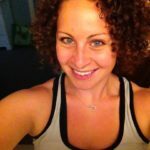 Ms. Jamie is a Managing Instructor and Head of Center Development at Power Tots and has been with the company for 10 years. She has a Safety Certification with USA Gymnastics, is CPR certified for infants, children, and adults, and also has a KarmaKids Yoga certification. Jamie loves helping little kids develop their motor skills, and cognitive ability. She has really enjoyed meeting and working with children all over the DMV!